Turning back the clock on aging and maintaining a youthful appeal the natural way, are best achieved with a professional men’s facial. No matter how disciplined or which skincare products you apply, investing in a professional facial offers a multitude of aesthetic and healthcare benefits. While most men are opposed to the idea of having a routine clean and preen, the new age of investing in your well-being includes using cosmetics with age-defying ingredients, balanced lifestyles and masculine maintenance. Looking at the benefits of men’s facials assists in making the right decisions for a smooth, blemish free and easy to manage complexion. A facial for men is associated with the unique needs of the male population including applications to address spots, razor burn, uneven skin tone and a poor complexion. It involves the layering of specialized ingredients applied to the face and neck to address specific skin problems. It is delivered in a spa or therapeutic setting by an aesthetician or certified professional. If you suffer from the odd breakout, a monthly facial helps unclog pores and clear skin prone to blemishes. Expertly applied facials incorporate spot targeting and pore clearing ingredients. It helps minimize large pores and restore skin balance to prevent excess oil production and inflammation responsible for acne. Whether your skin is dry, oily or combination, a deeply nourishing and fully hydrating application is important. Your therapist will determine the best product combinations based on an assessment of the dermis. Creams and exfoliators containing vitamin enriched solutions provide the cells and tissues what it needs to replenish and rehydrate. It can address minor scarring, a dull complexion and delays the aging process. The Gallery Massage Studio delivers means facials with quality care, soothing application and relaxation. 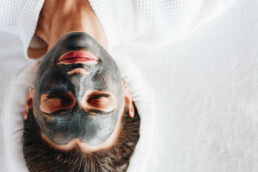 Exfoliation is provided to clear pores and remove surface dirt and debris responsible for a tired and dull complexion. Exfoliation is combined with a gentle massage to improve blood flow and produce a smooth, even-toned skin. 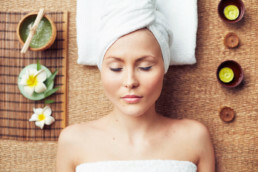 Relaxation is associated with the application of facials. The practitioner will apply product with smooth strokes, gently massage your face and increase circulation. It is relaxing and rejuvenating while delivering nutrients and oxygen to the cells for healing and suppleness. If you are feeling stressed, a facial massage combined with its hydrating and supportive properties will prove soothing and relieving. If your skin has suffered damage or not looking too great, facials are not only beneficial at a cellular level but at an educational one. A therapist will advise clients on the correct product use and simple ways of applying skincare. The gift of massage or spa services are a unique choice for offering loved ones a beneficial experience. Facials massage pressure points in your skin that activate your sympathetic nervous system, which in turn reduces anxiety levels and boosts your mood. Our skin is exposed to harmful elements like dirt, pollution, and everyday toxins that clog pores. 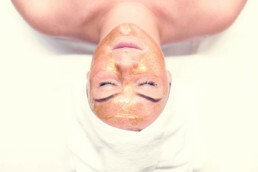 Facials clear congestion for fresh and breathable skin. Facials promote blood circulation in your face that helps boost cell regeneration and collagen development which leaves you with vibrant, younger looking skin. 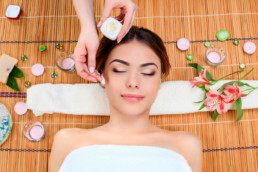 Facials can heal blemishes and problem acne with sophisticated treatments available only at a spa while removing dead skin to prevent future breakouts. The Gallery Massage Studio offers incredible men’s facials. A professional application is soothing, manages a youthful complexion and incorporates nourishing ingredients that are deeply hydrating. Visit us at 3919 Tennyson Street Denver, Colorado and experience a masculine facial like no other. We know you have a busy Schedule. Express Facial is great for a squeeze in. 2X Cleanse, Steam, Mask, Extractions, Moisturizer, Serum All the benefits your Face needs for a great Cleanse. Treats and prevents stubborn acne, shrink enlarged pores, reduces the appearance of fine lines and wrinkles, and fade dark eye circles. 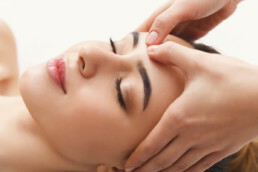 A chemical peel is a technique used to improve the appearance of the skin on the face, neck or hands. A solution is applied to the skin that causes it to exfoliate and eventually peel off. We got your back. Backcial is like a facial but on the back. This treatment includes the whole back; it goes from shoulders to the lower back. This exfoliating skin treatment , we use a sterile blade is used to slough off dead skin cells & “Peach Fuzz” revealing fresh, vibrant skin. Skin resurfacing procedure that gently exfoliates away dead skin cells, while stimulating collagen growth to reveal healthy younger look. Regular massages help you do more of what you love. Whether you’re a weekend warrior a mom or an entrepreneur, your daily grind adds stress to your body. Let’s talk about who you are and what challenges your life presents to design a massage session to fit your needs. © 2019 Gallery Massage & Skincare Studio. All rights reserved.